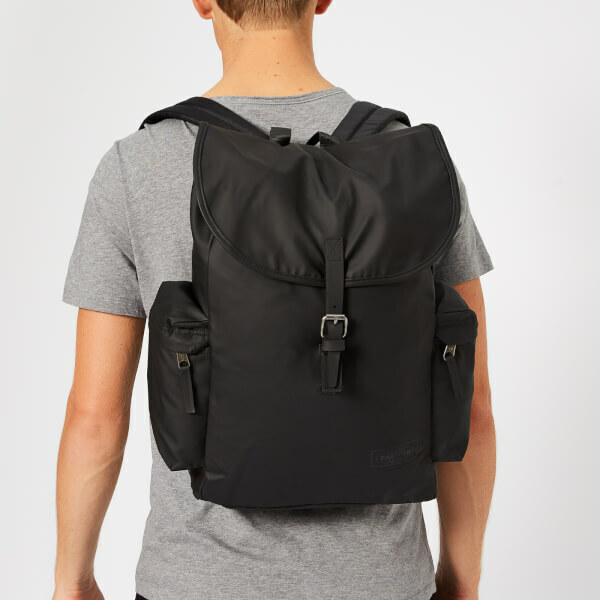 Durable black ‘Brim Austin’ backpack from Eastpak. 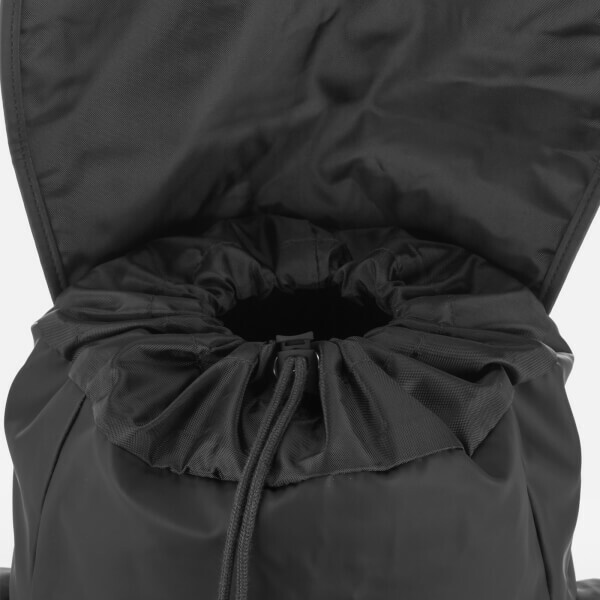 Crafted from a robust synthetic material topped with a showerproof raincoat coating, the rucksack forms a boxy silhouette and features a spacious interior and cushioned shoulder straps for enhanced comfort. 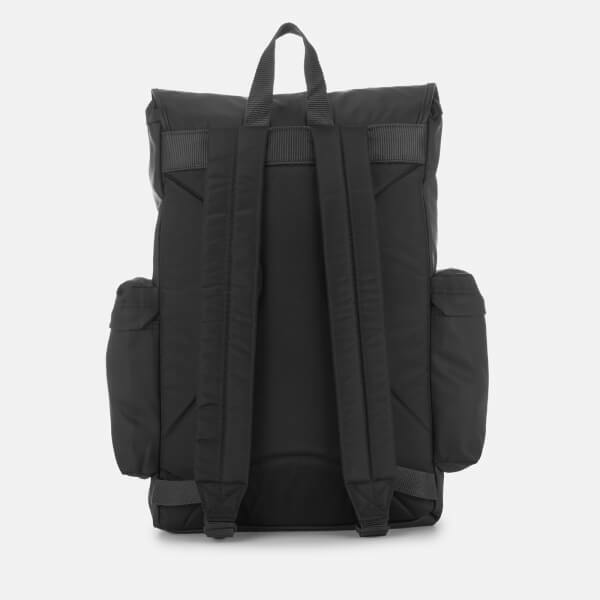 A popper-secured flap lifts to access the rucksack’s main compartment and padded 15” laptop sleeve within, both further secured with a drawstring and toggle closure. Side zip pockets offer additional storage for smaller essentials. Complete with a reflective logo for visibility on the move. Dimensions: H: 42cm x W: 34cm x D: 11cm. 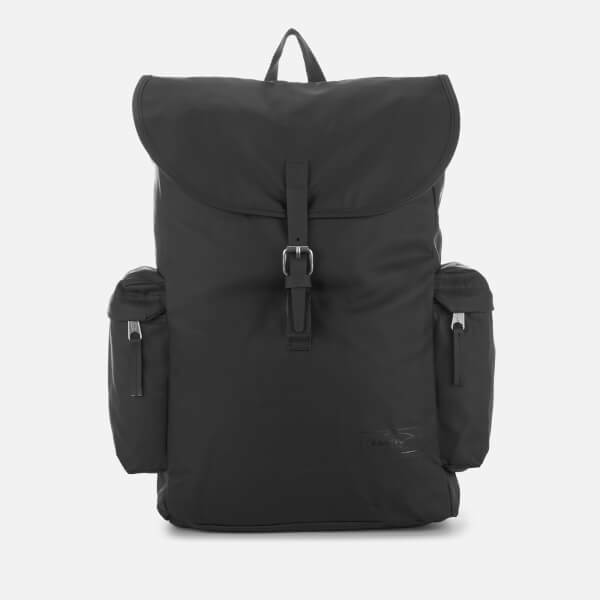 Capacity: 18L.